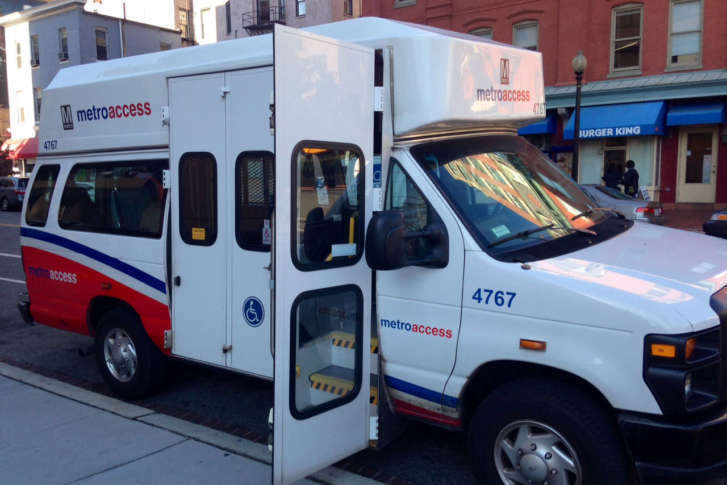 Despite complaints from people with disabilities, D.C. does not plan to allow more riders to use subsidized taxis instead of MetroAccess paratransit service. WASHINGTON — Despite complaints from users who are blind, in wheelchairs or living with other disabilities, the District does not plan to allow more riders to use subsidized taxis in place of more expensive and convoluted MetroAccess paratransit service. A message from the Department of For-Hire Vehicles had said the program would return Oct. 1 to offer open transportation for qualifying riders in the first half of each month, but instead Transport DC trips have remained limited to medical and work-related trips. Department of For-Hire Vehicles’ spokesman Neville Waters said on Friday there are no changes planned for the program, so the restrictions will remain in November at a minimum. D.C. Councilmember Kenyan McDuffie has yet to receive an explanation for the continued cutbacks since the new fiscal year began Oct. 1. His office says a letter he sent Oct. 4 has not gotten a response. People who have used the service say the ability to schedule a ride with less than an hour’s notice and to get a direct trip are significant benefits over roundabout MetroAccess paratransit van rides that must be scheduled more than a day in advance. The trips are also cheaper for riders and the District, “which is in the best interests of everyone,” advocate Heidi Case said. After raising concerns with the District, she and others who use the services asked the Metro Board for its help Thursday, given the impact of MetroAccess trips on the agency’s budget. Other MetroAccess riders described sitting in vans for hours or waiting, vulnerable, on a street corner. Larker said the Transport DC cab rides were cut off while he was out earlier this month. After getting a $5 ride from home, the cab company could not give him a ride back without charging full fare. The D.C. government had called to tell the cab companies it had not opened up trips again to anything other than work or medical visits. Metro’s Accessibility Advisory Committee hopes to compare the 2-year-old Transport DC program to Arlington’s STAR MetroAccess alternative and the new Metro-run Abilities-Ride paratransit alternative taxicab pilot program in Montgomery and Prince George’s counties to offer regionwide recommendations. The Abilities-Ride program began Sept. 18 after a series of delays. Those riders pay the first $5 of a cab fare booked through the program, while Metro covers the next $15.